Back in 2016, Apple refreshed its MacBook Pro laptops following months of anticipation. The 4th-gen MacBook Pro received mostly favorable reviews upon release, with praise directed at its great power and beautiful look. The release of the MacBook Pro marked the first Apple’s laptop with a USB-C port and Touch Bar. Apple releases new MacBook Pro every year. 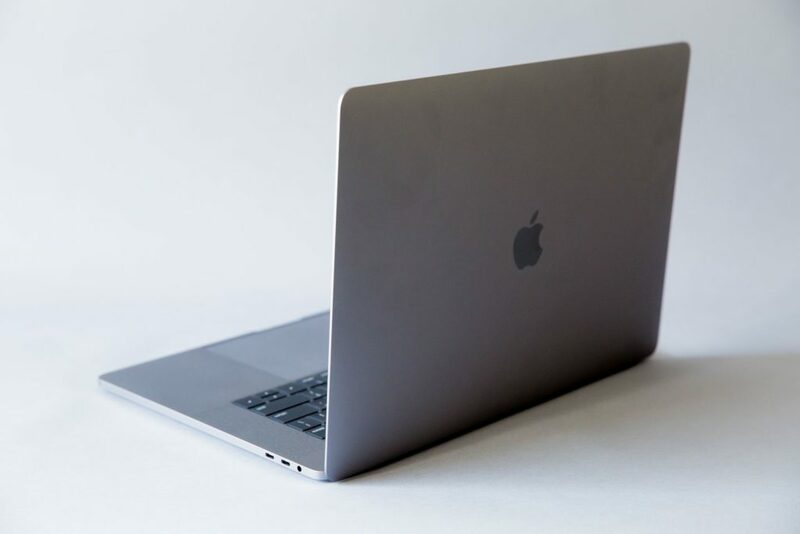 Last year, the Cupertino firm updated its range of powerful MacBook Pro models with better performance and a slew of improvements, making it the most appealing Mac notebook ever made. However, the MacBook Pro is still a huge investment, which might turn off some Apple fans. As we enter the first months of 2019, it’s time for Apple to announce the next-generation MacBook Pro laptops. 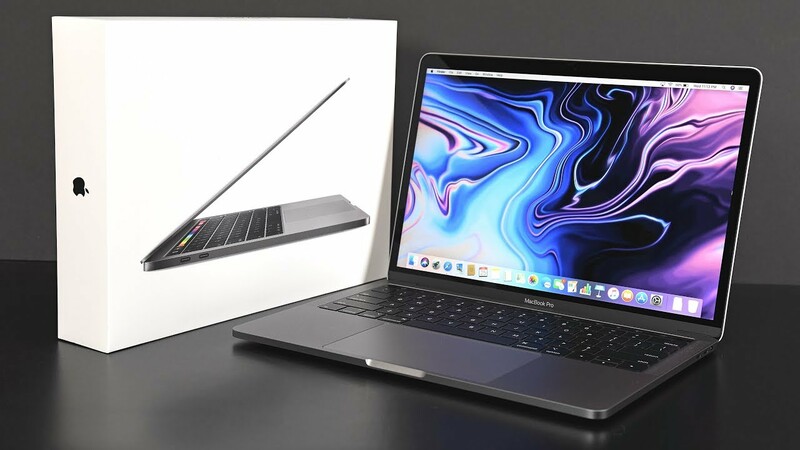 In reality, rumors about Apple’s 2019 MacBook Pro have started to heat up for months, hinting at the impressive features coming to this year’s Pro laptop. Here, we are going to give you a glimpse of what Apple’s 2019 MacBook Pro includes. Apple often skips big industry-wide events like CES or MWC. It instead holds its own events where it announces new hardware and software updates. Apple has not specified when it unveils new MacBook Pro laptops, but we are expecting to see new laptops at this year’s WWDC event. In reality, Apple hardly releases new hardware at its WWDC, an annual event that Apple uses to talk about new software. That’s different from Apple’s fall event, which is usually focused on new iPhones and Apple Watches. However, we are expecting something special at this year’s event. So, when will the event take place? Apple recently confirmed that 2019 WWDC event will kick off on June 3 and run through June 7 in San Jose, California. The Cupertino firm has started sending out invites to the world press for its keynote. A reliable source says that we might not see a new MacBook Pro at the event, but a new Mac Pro is on the way this year. Apple Mac Pro has not received any love for 6 years and it is time for a new model. 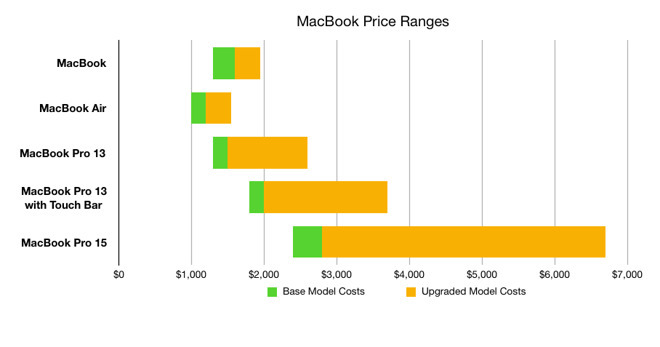 How much will the new MacBook cost? Apple MacBook Pro lineup has seen a steady price rise in recent years as Apple offers multiple upgrade options. The maxed-out MacBook Pro with all available spec upgrades selected now retails for around $6,500, a huge cost when compared to its main rival, Microsoft Surface 6, which is priced at $2,100 in the US. With the 2018 MacBook Air retailing for $1,200, it’s possible that the next MacBook Pro will start at $2,700 for the base 15-inch base model. Of course, there will be multiple built-to-order options, one of which includes the next-generation Vega GPU. Apple usually focuses on hardware upgrades on its new MacBook Pro. Last year, Apple added Intel’s 8th-generation processors to its Pro laptops for a significant performance boost. Apple says that the new chip allows for 70% faster performance over the 2017 model. According to Ming-Chi-Kuo, an analyst best known for his accurate predictions when it comes to Apple’s new products, the next MacBook Pro will use Intel’s 9th generation processors, with up to 8 cores for superior overall performance and more power efficiency. Of course, there will be a Core i9 option this year. Sources say that the maxed-out 2019 MacBook Pro will feature Intel Core i9-9980HK that offers 8 cores with Hyper-Treading. In reality, the standard Core i9 MacBook Pro does not bring about a significant boost when it comes to rendering videos using Final Cut Pro X or Premiere Pro. However, we want to point out that the base Core i9 MacBook Pro used during our test feature Radeon Pro 560X GPU, which offers a small graphics boost. 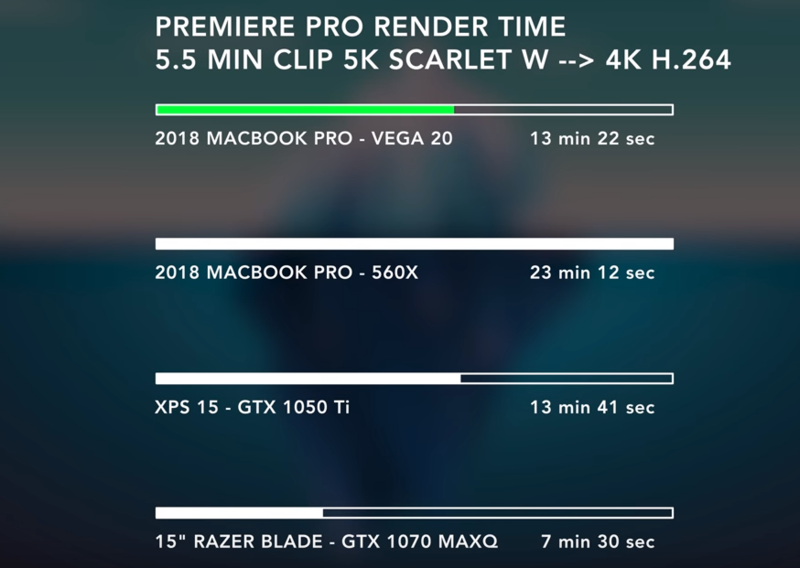 There was a significantly faster render time on the Vega 20-equipped MacBook Pro compared to the base model with the Radeon Pro 560X GPU. 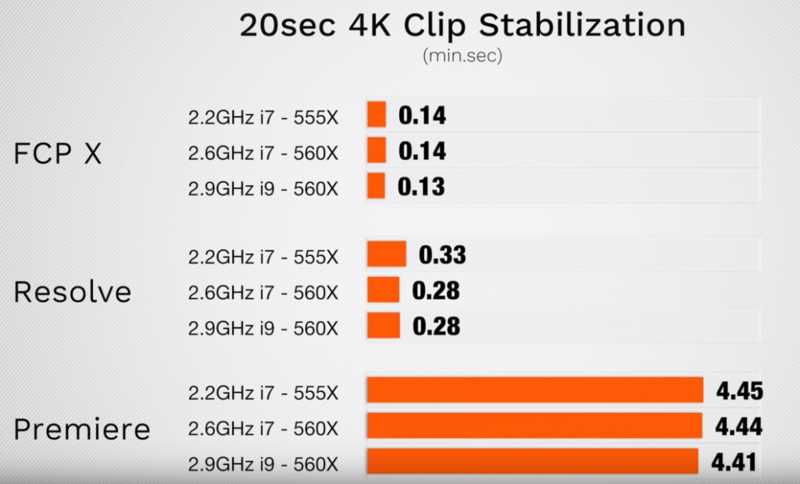 This seems plausible seeing the 560X GPU features the same architecture as its predecessors and Apple only bumped the clock speed a little to make it faster. When it comes to gaming, Apple says that the Vega 20 offers 50% faster performance. In reality, there is a little bump from the 560X when it runs some native macOS games. However, it is not a massive boost. We are expecting a new Vega GPU on this year’s MacBook Pro. If you are a professional user who usually engages yourself in intense-graphics tasks like 4K video rendering, then it’s a good idea to go for the maxed-out model. However, the bad thing about a Vega-equipped MacBook Pro lies in the price, so picking up the model for the right apps is pretty exciting. Apple now relies on a third-party manufacturer for its desktop chips. Reports suggest that Apple might be working on its own processor chips in an attempt to eventually rid itself of the need to rely on Intel components. We have heard rumors that Apple will start using its home-made desktop chips in 2020 MacBook Pro. This seems possible seeing the fact that Apple now uses its own A-Series in iPhones and iPads. Apple MacBook Pro is one of the most anticipated laptops on the market. Apple really needs something special this year to boost its laptop sales which has been showing a sign of a slowdown on the market. The new MacBook Pro may not save the day, but it may give Apple a jump start in the competition.